" After waiting over 16 years, Randy has finally been allowed to take the Fundamentals of Baking Vocational course at Redgranite. He has now gotten his ServSafe Certificate, as of 7/28/2015. He has 36 college credits, and has maintained an “A“ average throughout. He has a certificate from LSU in Liberal Studies and is working on a Degree from Indiana. In addition, he has received excellent reviews from everyone he has worked for and hasn’t had even a minor infraction in over 10 years. The main reasons he was denied parole in 2012 were, "You haven't served enough time" or "you haven't met your program needs." With his vocational course done, all he has left is the AODA. He did take an AODA program when he was at GBCI, but was told by PRC and Parole reps it wasn’t the "right" one and they refuse to give him credit for it. The parole board reps need to talk to the staff members at the prisons that interact with inmates to get a better idea of who they really are, and how they have bettered themselves, and why they should be released. 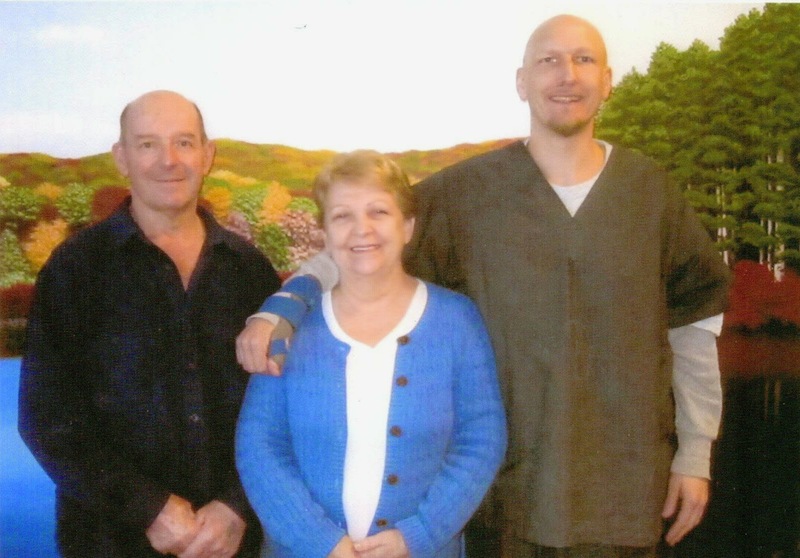 Randy was an angry drug addict when he committed his crime, and he has dealt with those issues while in prison. He has earned 15 different certificates from programs he has completed over the years, and stays involved with positive activities. 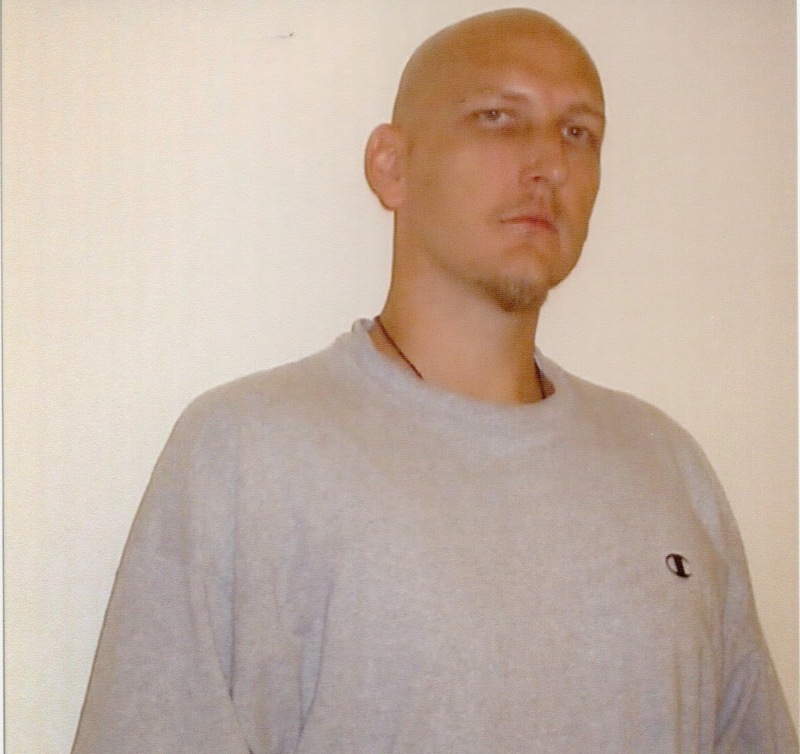 He has become a role model to other inmates, and has earned the respect of many, many staff members. Randy is very remorseful and will feel guilt for his actions for the rest of his life. Furthermore, he has paid his debt to society. He is constantly helping others and encouraging them to better themselves. Randy has become a very good person to other inmates who need to talk to someone, those that don’t have family support and feel lost. He would make a very good speaker for young men and women who are going down the wrong path; he has done it with the BRICK program and he felt very good about that and hoped it helped at least one of those kids. Upon release, he has a stable place to live, and a realistic plan for success. 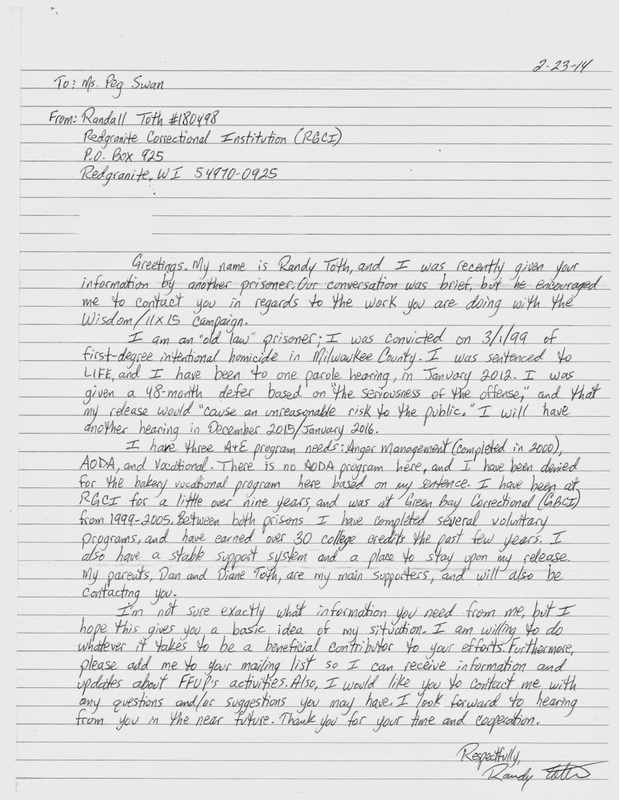 We hope you can see the reasons Randy needs to be paroled so he can be a productive citizen again and no longer a burden to the taxpayers. We and many others stand by him and give him the moral support to continue to do positive things, and prove he is a changed man. He would also want to become involved in the community when released and volunteer for youth groups, teach music, or help them understand the path they are on is the wrong one. eligible and ready for parole,been model prisoners When is time enough?
" I was a drug addict who went to buy rock cocaine form my dealer. An argument and altercation ensued over the drugs and payment. The end result was that I stabbed him to death during the altercation"
Randall was sentenced to life in 1999, which then meant, with good behavior, 13 and 1/2 years. Has completed all the required programming he can get into, however there is no AODA programming at the prison he is it and was denied the bakery vocational program. He has completed many voluntary programs and has 30 college credit under his belt. He has strong family support . "Randy has now been given the bakery program at Redgranite. He has 33 college credit, working on #36 which he should have done by September. He has done everything he possibly can to make himself a better person. He get very high reviews from all the teachers and others he has worked with and if they could keep him working for them for more than the two years allowed they would. The main reason he's been denied parole, "You haven't served enough time" or "you haven't met your programs". He did take an AODA program when he was at GBCI but now they told him that isn't the one you need. The parole board needs to talk to the people at the prisons that interact with inmates to get a true picture of how they have bettered themselves and that they should be released. Our son is a very good person that while on drugs committed this crime, and has paid for it. We stand by him and give him the morale support he needs to stay strong and the wherewith all to do better and prove he is a changed man, not the dumb drug addicted kid he was.